Without fail, nurses and nursing students from across Middle Tennessee health systems, practices and educational institutions have stepped up when called upon to lend their expertise and skills to help those in need here at home, across the country in the wake of national disasters, and on a global scale. These selfless nurses are joined in their generosity by the area's full complement of physicians and other healthcare professionals who personify Tennessee's reputation as the Volunteer State. 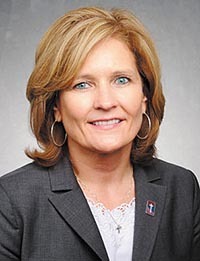 Recently, Nashville Medical News had the opportunity to chat with one of the region's longstanding community outreach leaders - Saint Thomas Health Chief Advocacy Officer Nancy Anness, MSN, APN, FNP-BC - about the call to serve and ongoing need. Long before Anness and Saint Thomas Chief Strategy Officer Amber Sims were in their current senior leadership roles, the duo launched the Day of Hope, Health & Healing as their pilot project for Saint Thomas Health's Formation for Catholic Healthcare Ministry Leadership program. 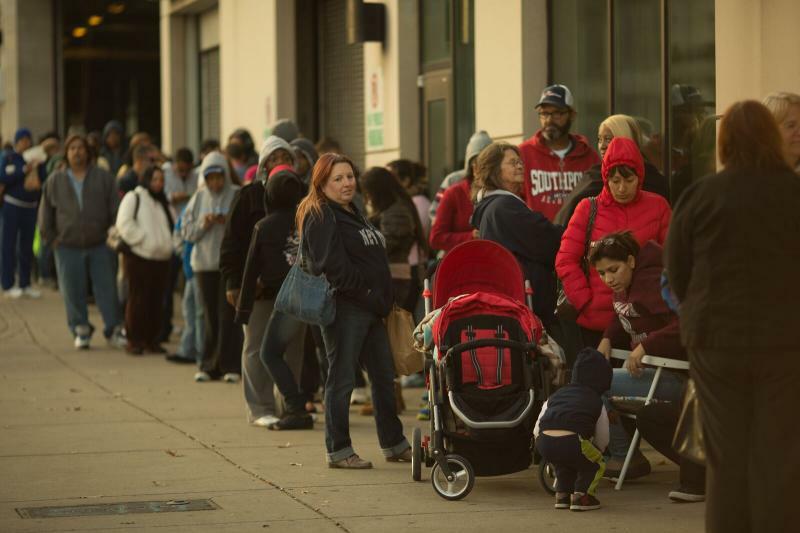 In the decade since, the event has grown to offer a more comprehensive set of services to the uninsured and underinsured in Middle Tennessee and has now spread throughout Ascension, reaching a national audience. "All of the folks that participate volunteer to be there," Anness said of the program's growth, adding it takes a wide array of both clinical and non-clinical professionals to pull off the large events. "Of all the volunteers, hundreds and hundreds of nurse volunteers are at every medical mission we have, whether it be in Nashville or in one of our rural locations." 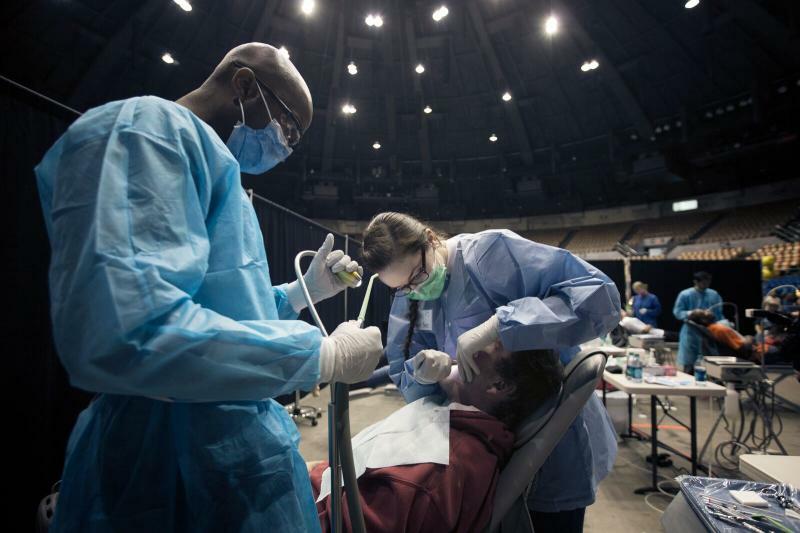 While the first medical mission was held at Holy Name Catholic Church, the event quickly outgrew the space and now takes place at Nashville Municipal Auditorium. "We've had over 20,000 patient encounters for Middle Tennesseans and their families," Anness added. The need locally for such care is certainly mirrored in other communities. Anness said similar medical missions have been held in Rutherford, Hickman, and Warren counties. While Saint Thomas Health doesn't have clinics in Grundy County, the team felt called to host a mission there. Grundy County ranks at the bottom of health outcomes in Tennessee and has no hospital within the county borders. 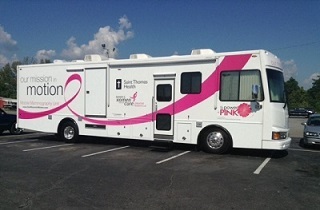 "Without even having a presence there, over 350 people showed up," Anness marveled at the number of uninsured and underinsured who gathered at the local high school for help with everything from vision screenings and dental work (organized by Hope Smiles of Nashville) to well checks, labs and mammography. Although the Day of Hope, Health & Healing events gather large teams of volunteers and are often accompanied by press coverage, Anness said that same missional spirit is routinely found in nurses working across the city. "We have eight community health centers now that serve predominantly the poor, the uninsured, and the underinsured throughout Middle Tennessee," she noted. "Many of those are staffed with nurse practitioners." Anness added nurse practitioners have the ability to fulfill the vision of Loretta Ford, EdD, RN, PNP, FAAN, FAANP, who co-founded the first nurse practitioner program with Henry Silver, MD, at the University of Colorado in 1965. "When the role was created in the 1960s, it was really created around going to areas of great need," she said of staffing rural and isolated areas where there often wasn't a physician and later addressing medical manpower shortages in urban areas. "Nurse practitioners and nurses have really filled the gap ... particularly where there have been areas of need ... throughout our history and throughout the country," she added. Anness noted there are plenty of care gaps to fill today - from at-risk schools and public housing communities to rural and isolated areas to homeless outreach. "Of all the places no one wants to go, I see nurses filling those gaps time after time after time," she said. "Once they know there's a need there, I see nurses pick up and be willing to go and to serve."